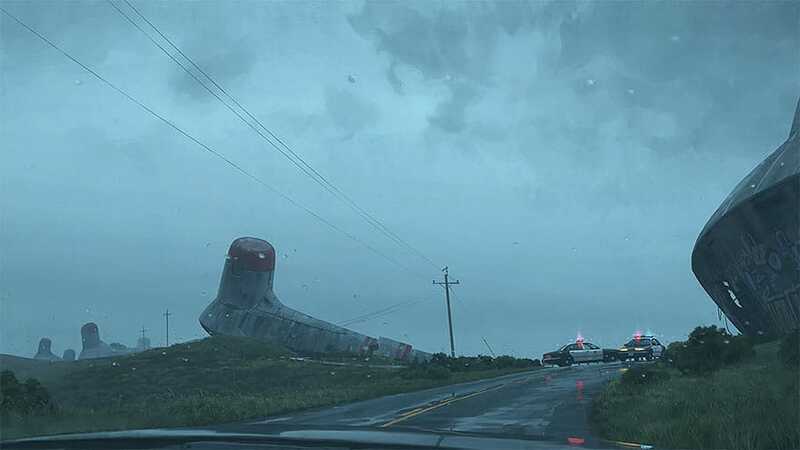 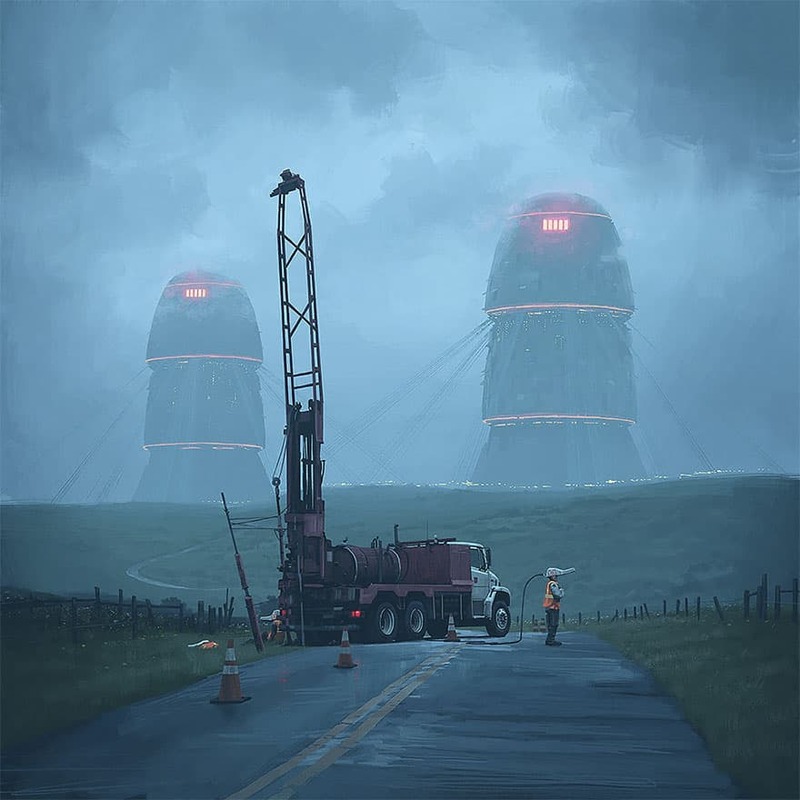 Simon Stålenhag is an artist and designer specialising in futuristic artwork focused on stereotypical Swedish countryside environments. 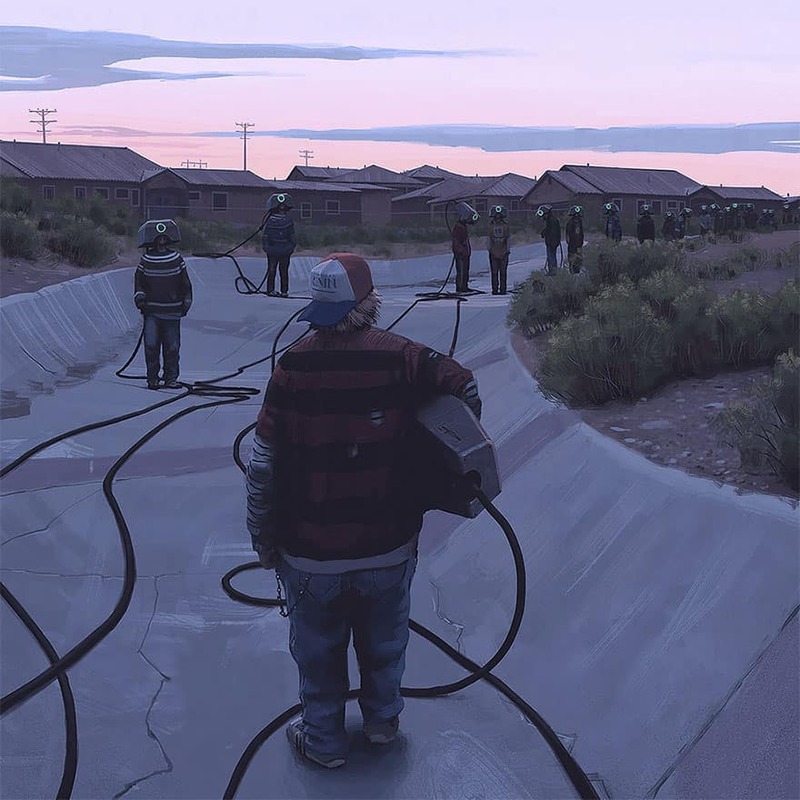 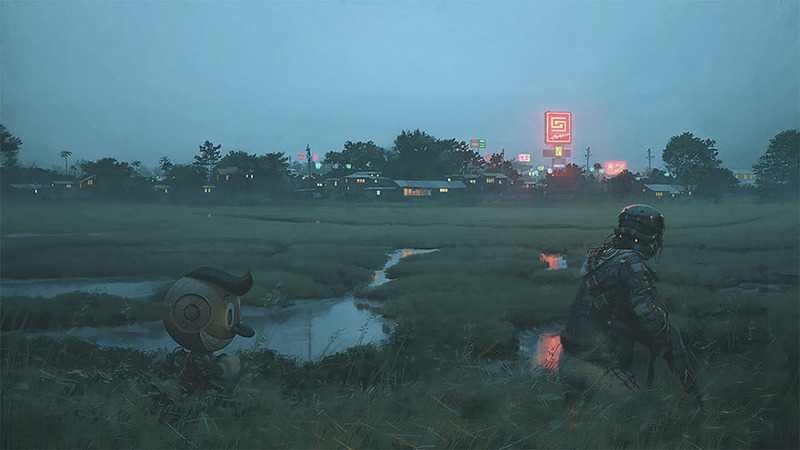 The settings of his work have been adapted into a range of art books and a tabletop game. 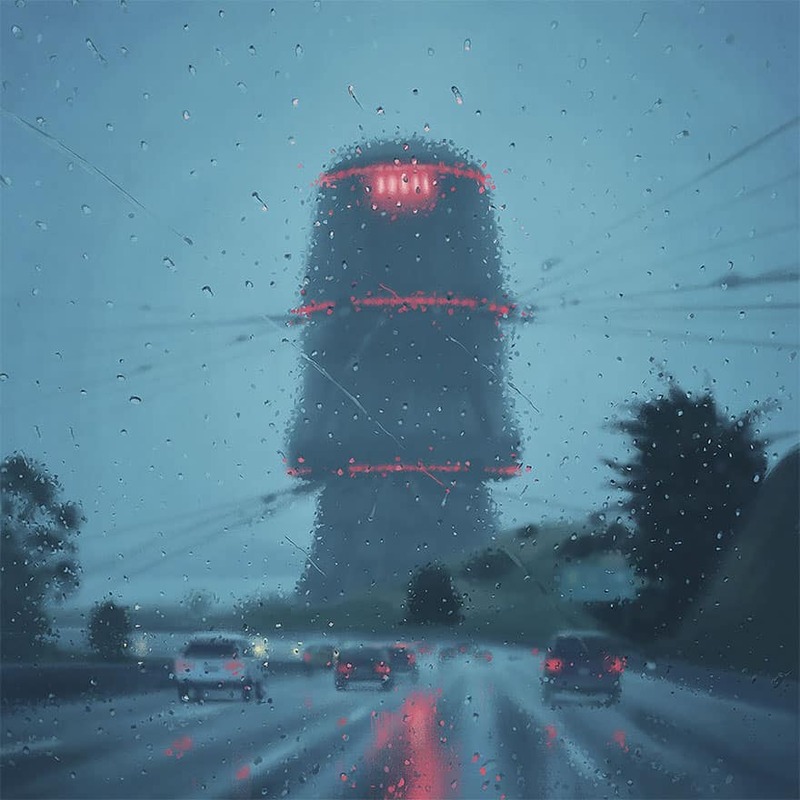 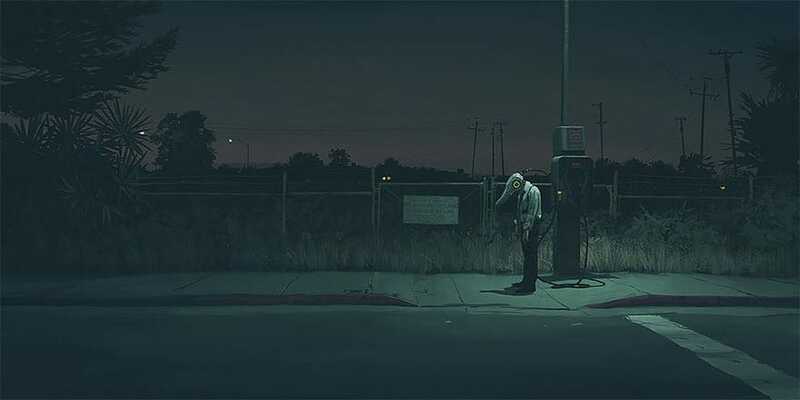 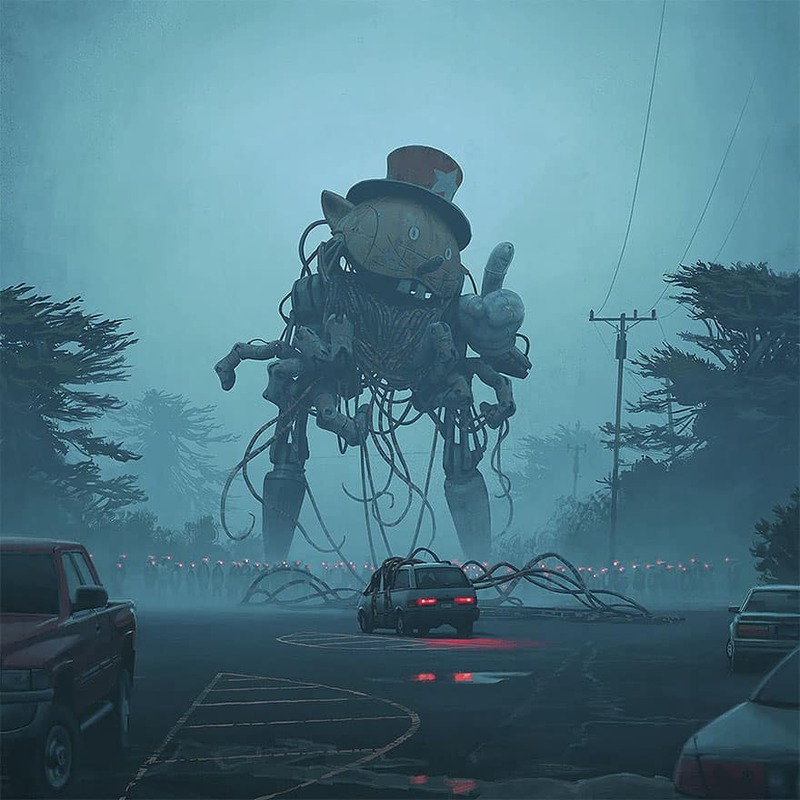 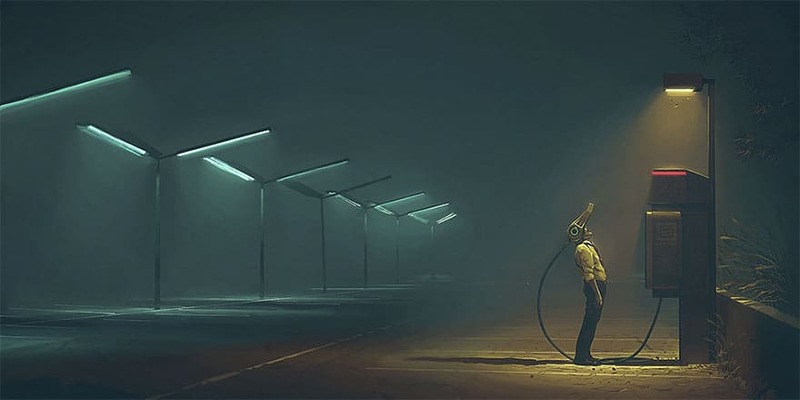 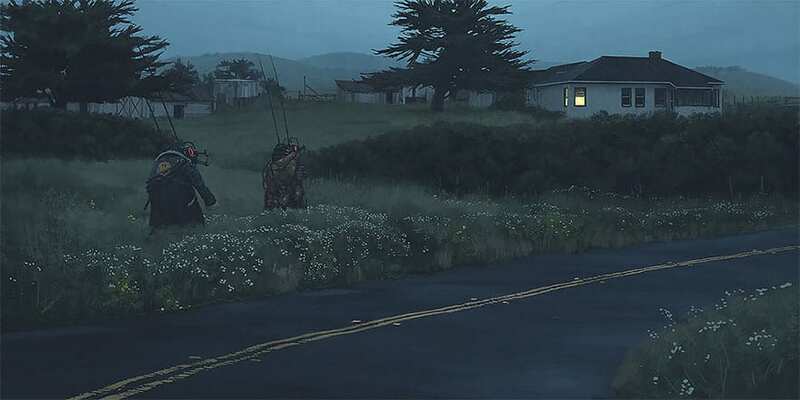 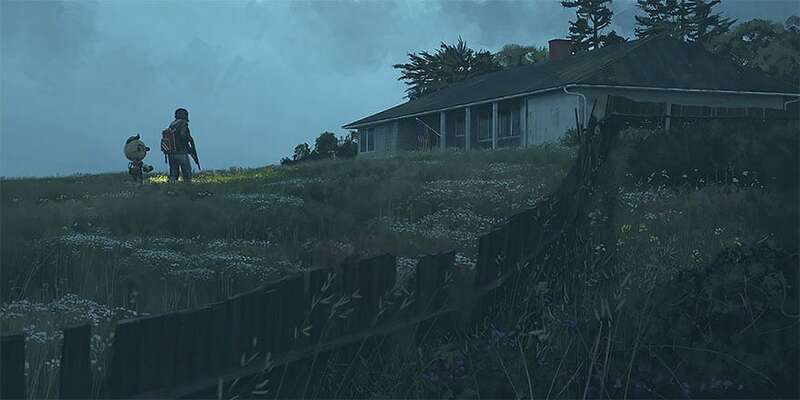 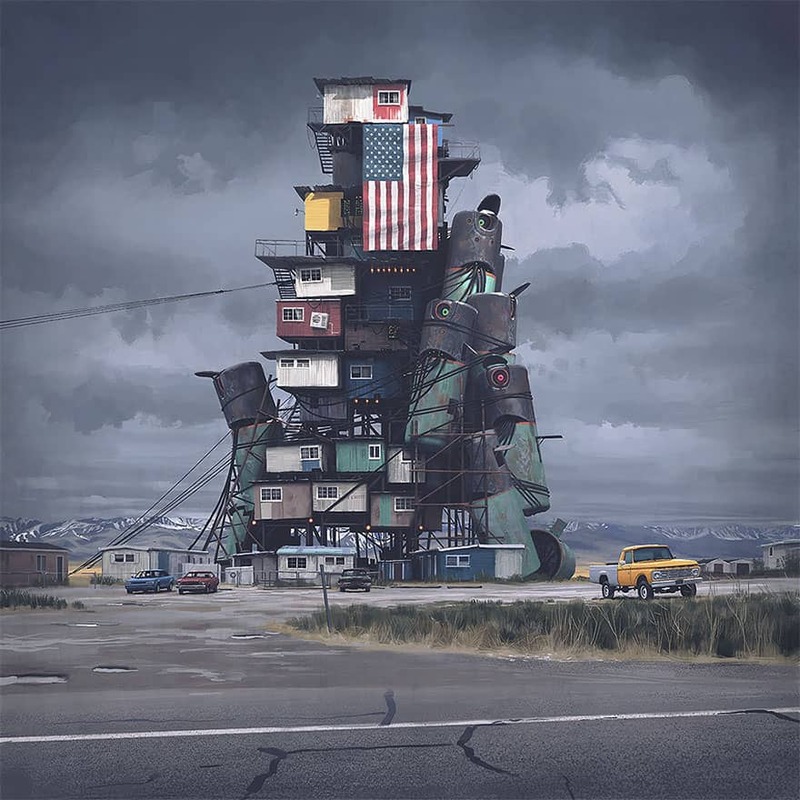 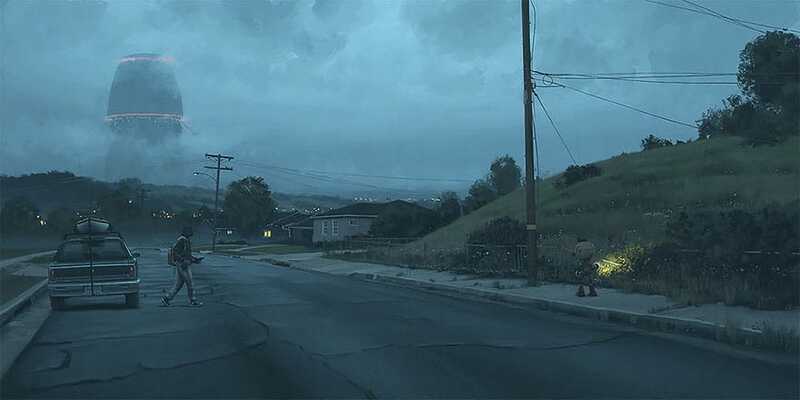 Stålenhag grew up in an rural environment near Stockholm, making illustrations of the local landscape inspired by artists such as Lars Jonsson. 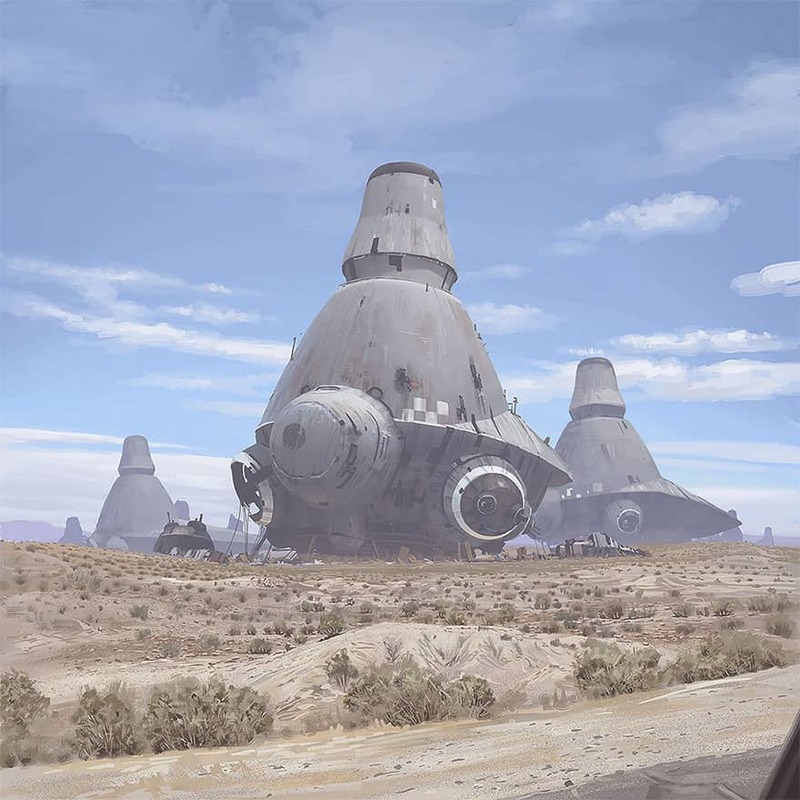 He only attempted science fiction artwork after discovering concept artists like Ralph McQuarrie and Syd Mead; initially this body of work was done as a side-project, without any planning behind it. 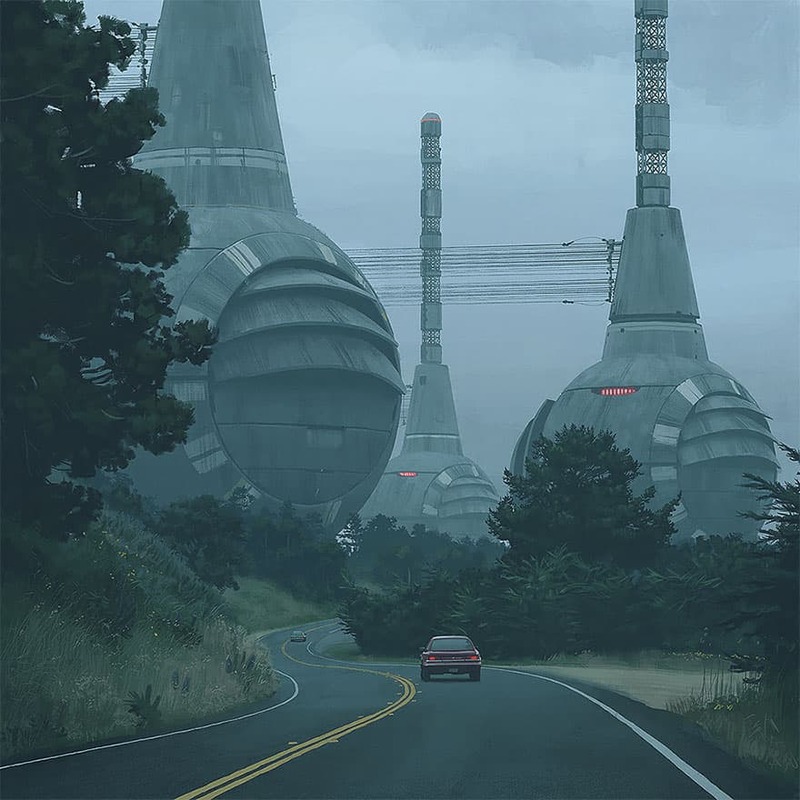 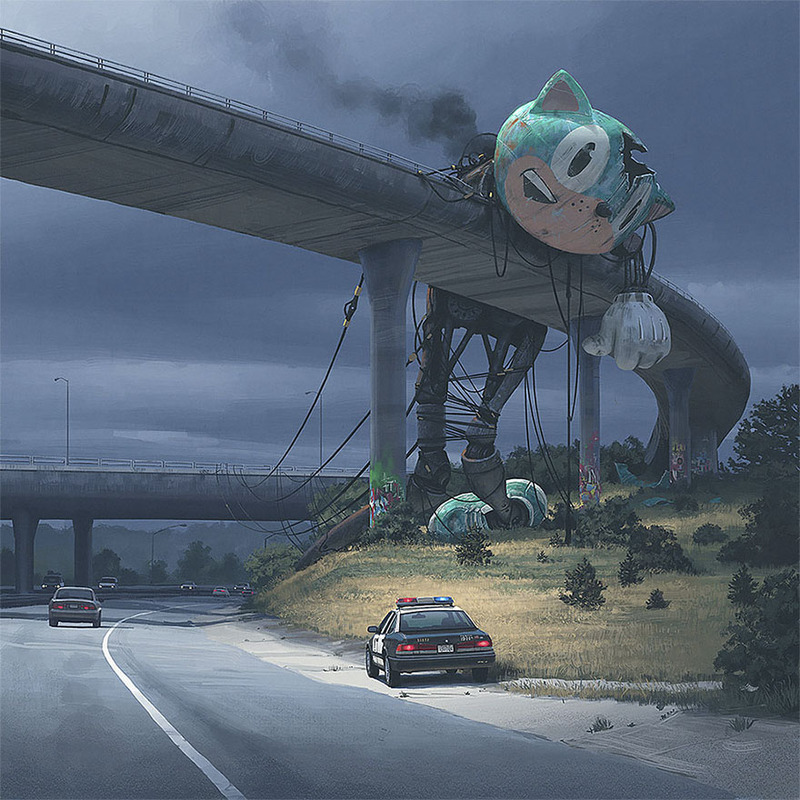 Thematically, these pictures usually combine his childhood with themes from sci-fi movies, resulting in a stereotypical Swedish landscape with a neofuturistic bent. 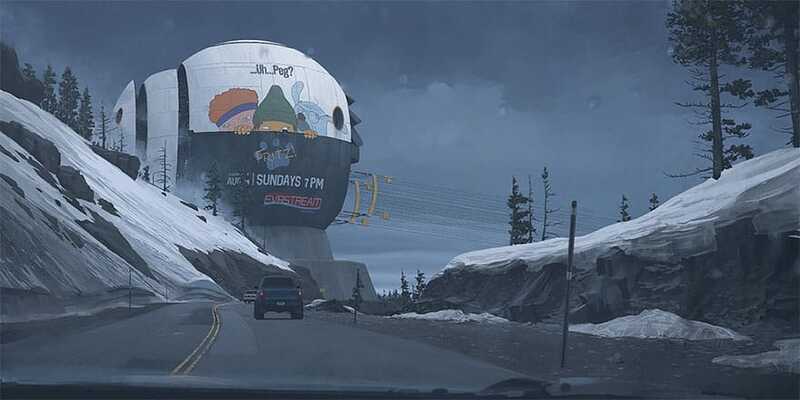 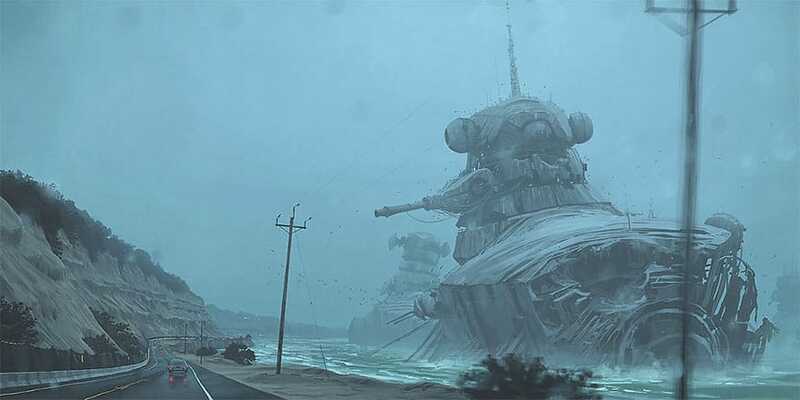 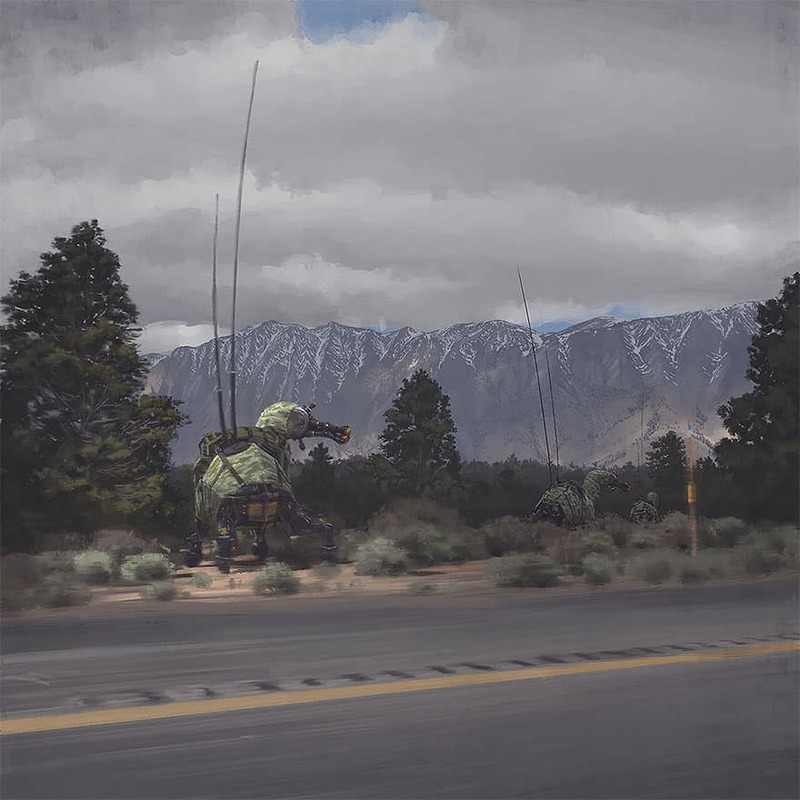 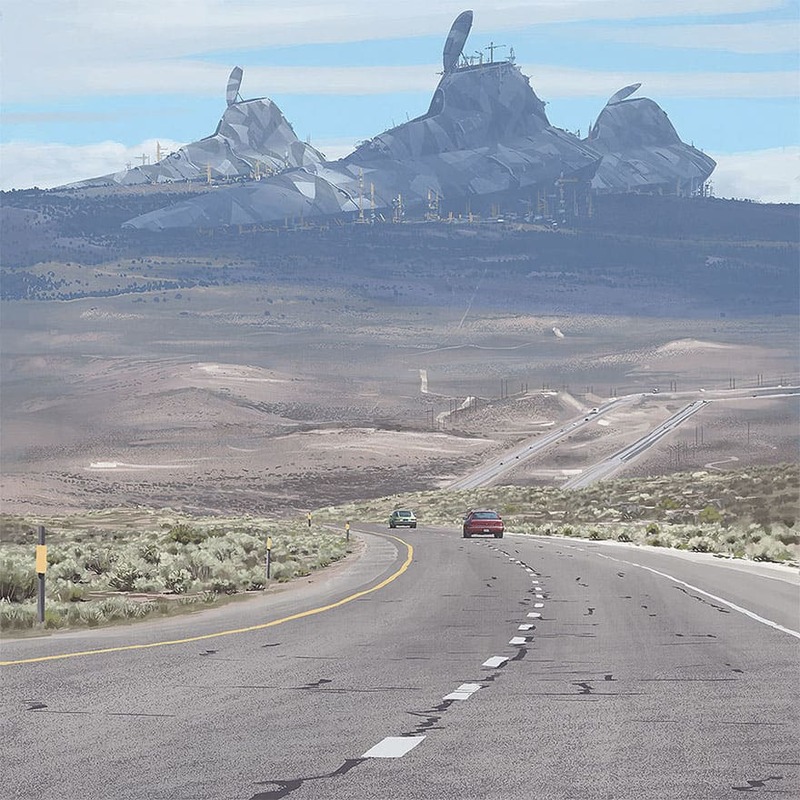 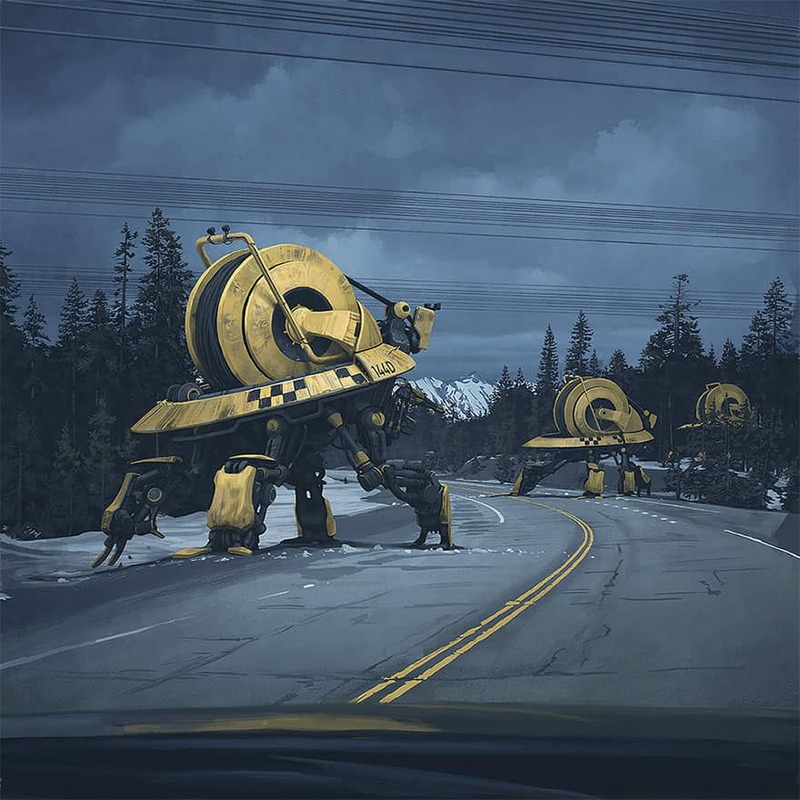 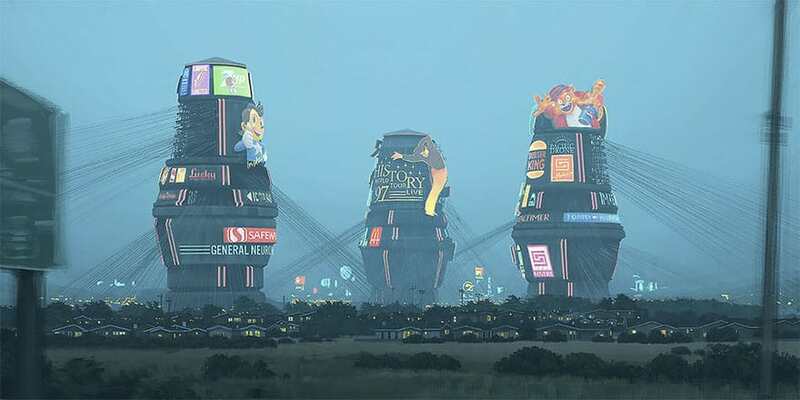 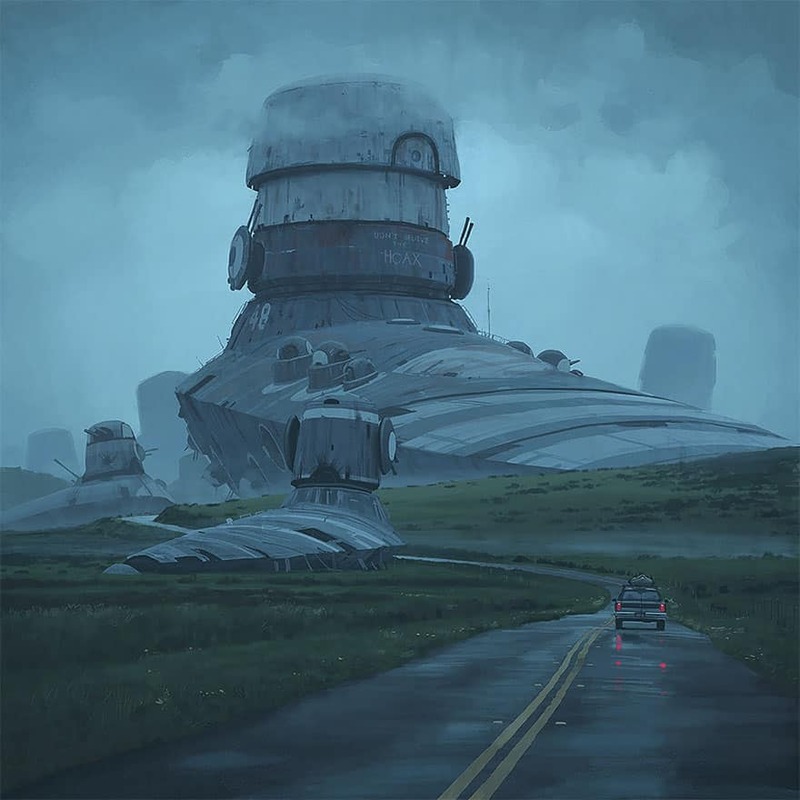 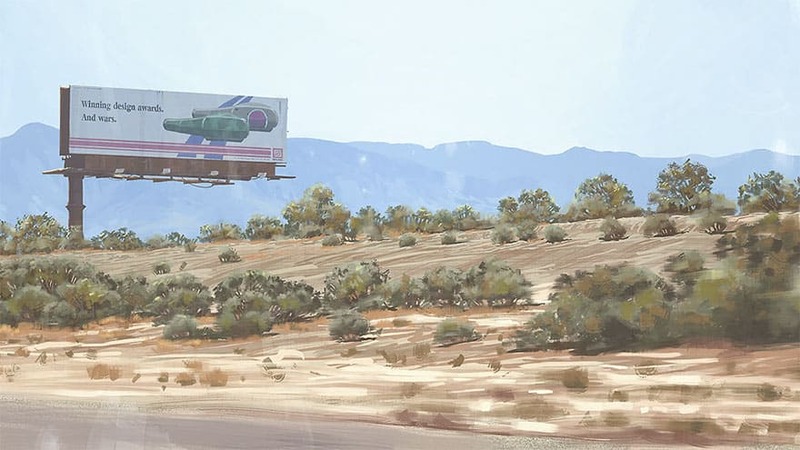 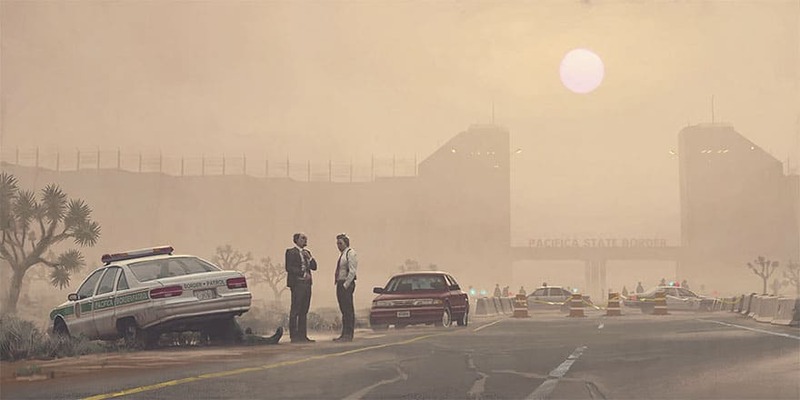 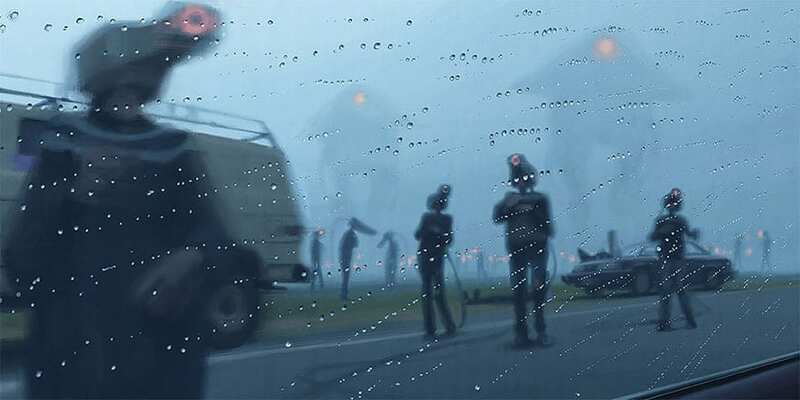 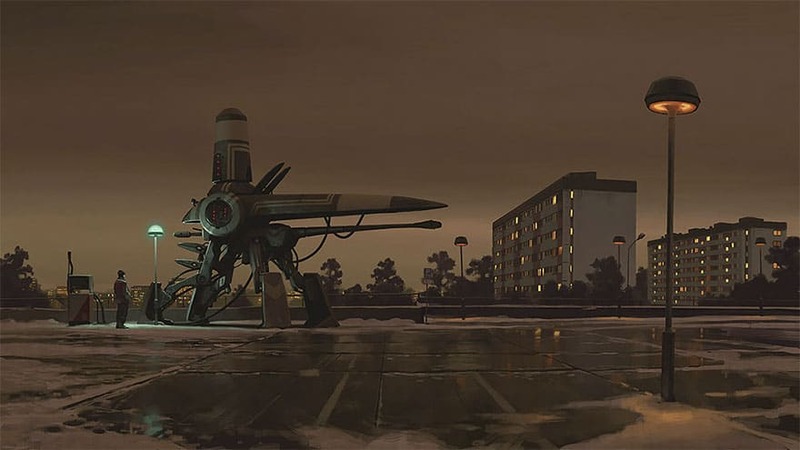 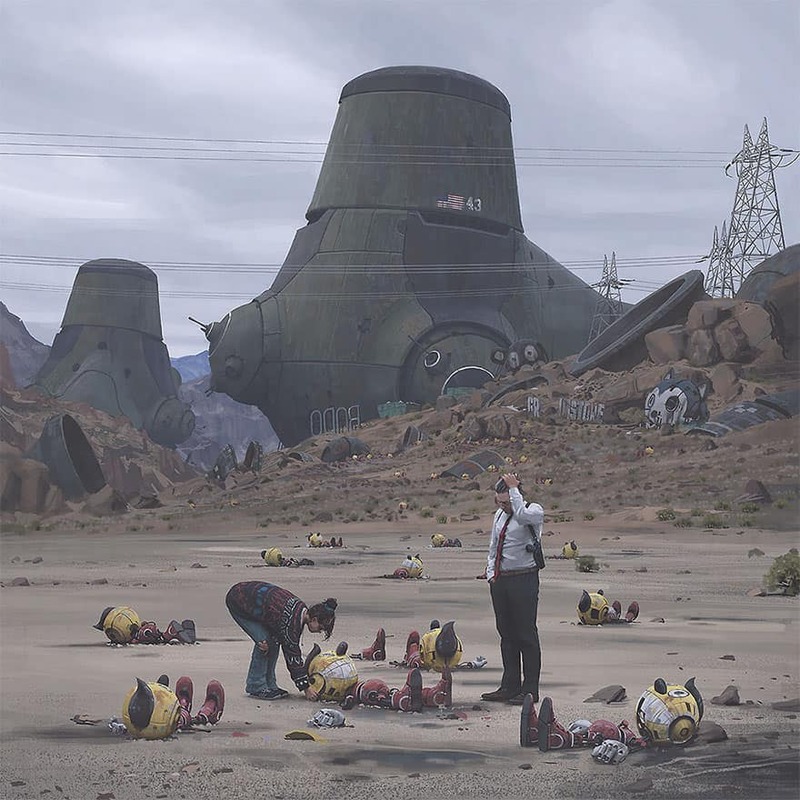 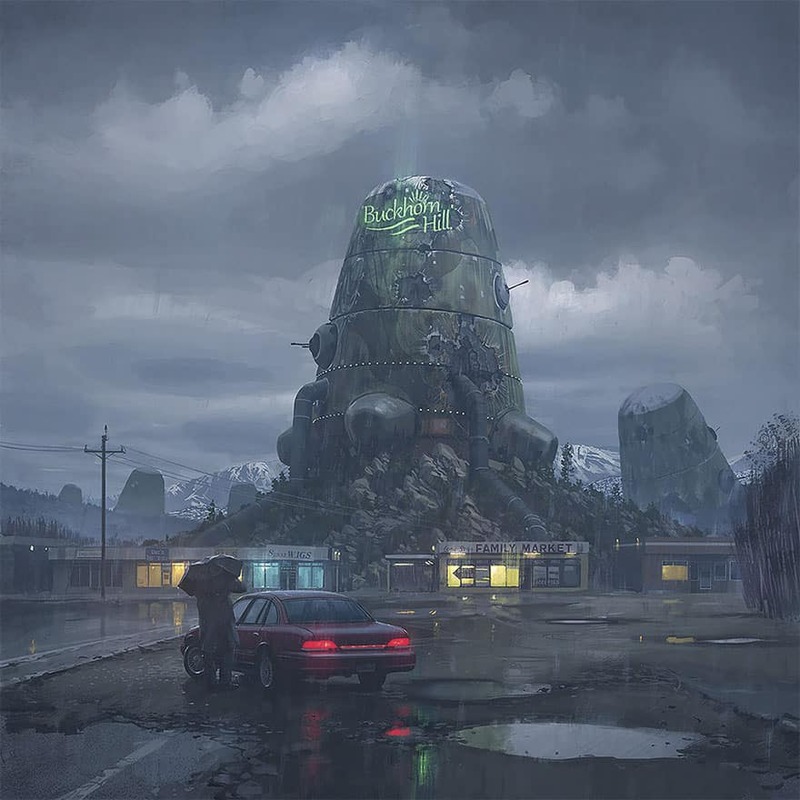 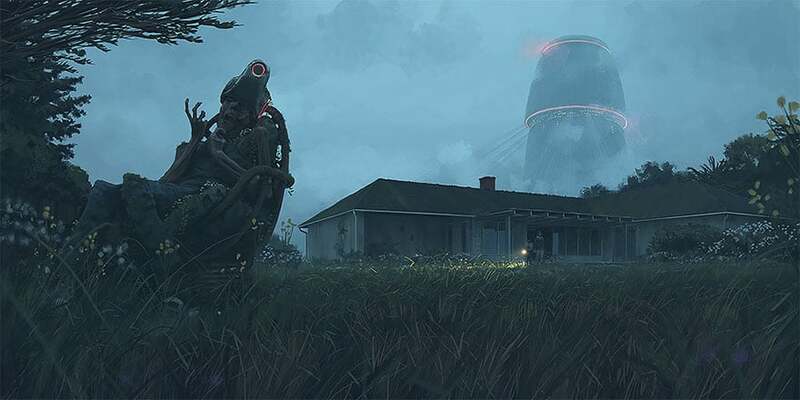 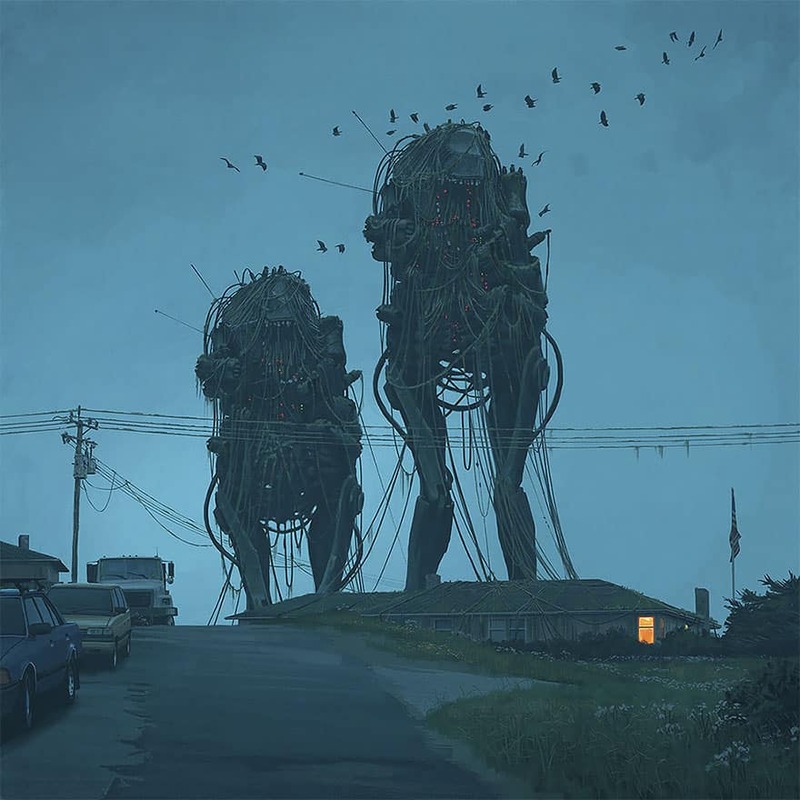 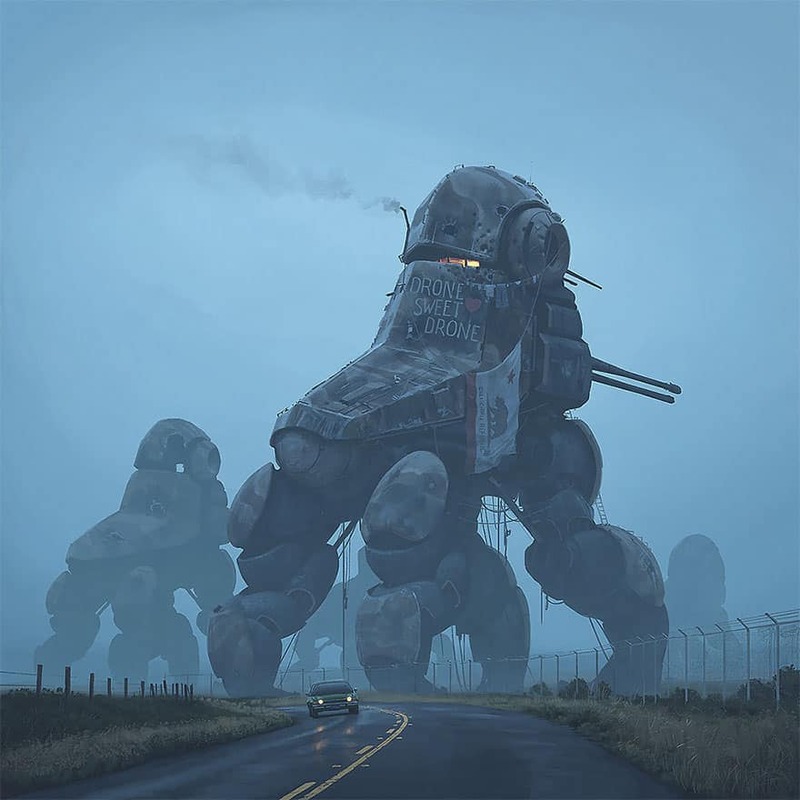 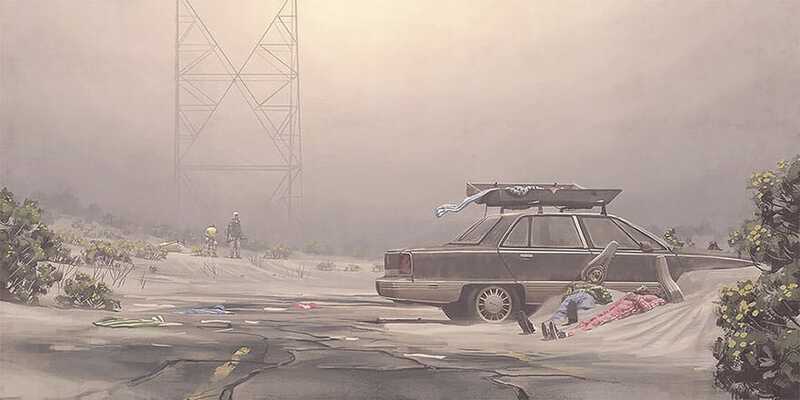 This means Stålenhag’s work can feature giant robots and megastructures alongside regular Swedish items like Volvo cars. 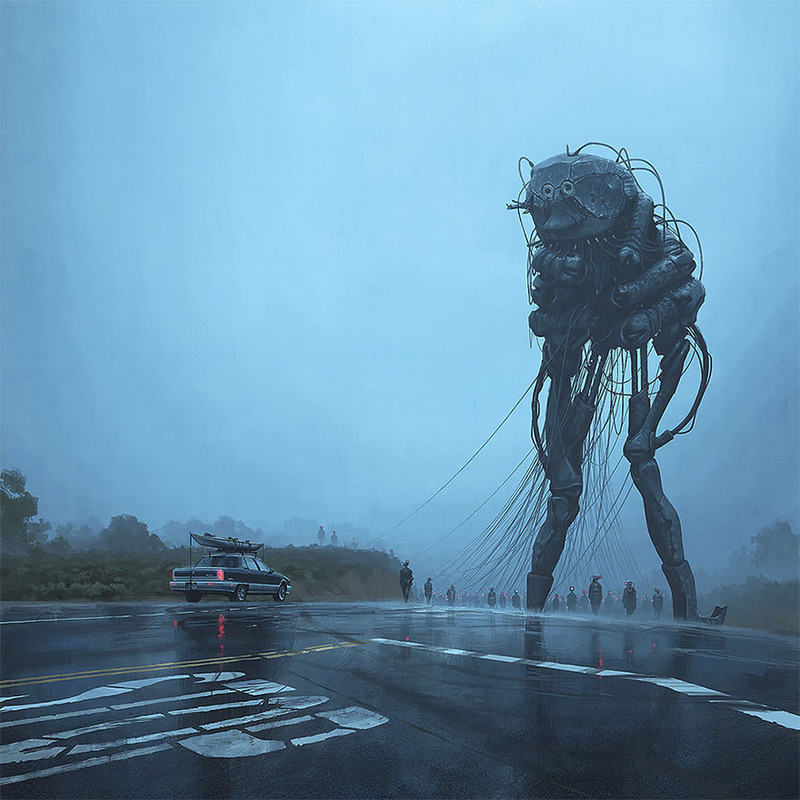 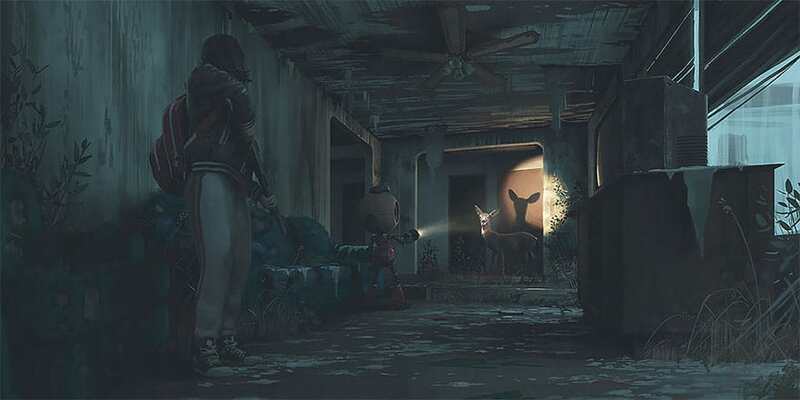 Outside of his usual canon, Stålenhag also drew 28 pictures of dinosaurs for the Swedish Museum of Natural History’s prehistoric exhibits, after he rediscovered his childhood interest in the creatures, and contacted the museum to see if he could do anything. 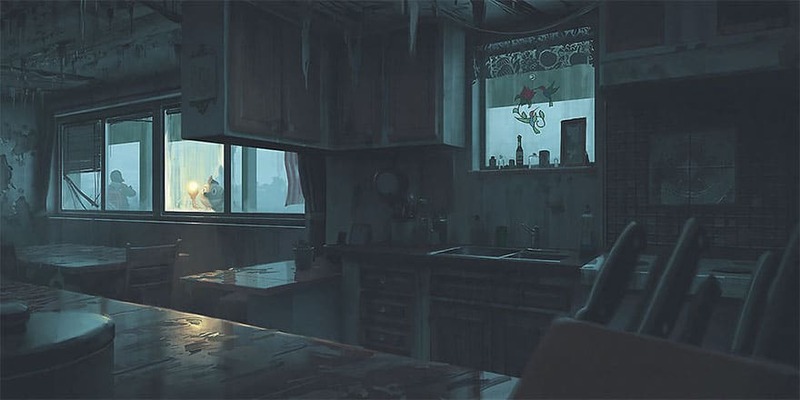 In 2016, he followed this with pictures of hypothetical results of a rising ocean under climate change for Stockholm University’s Resilience Centre. 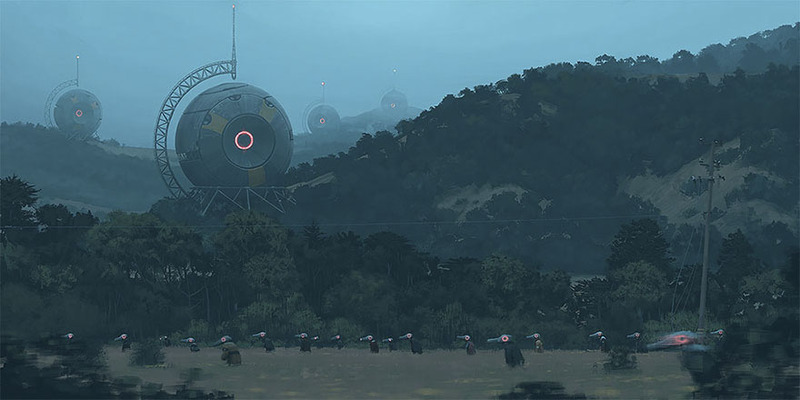 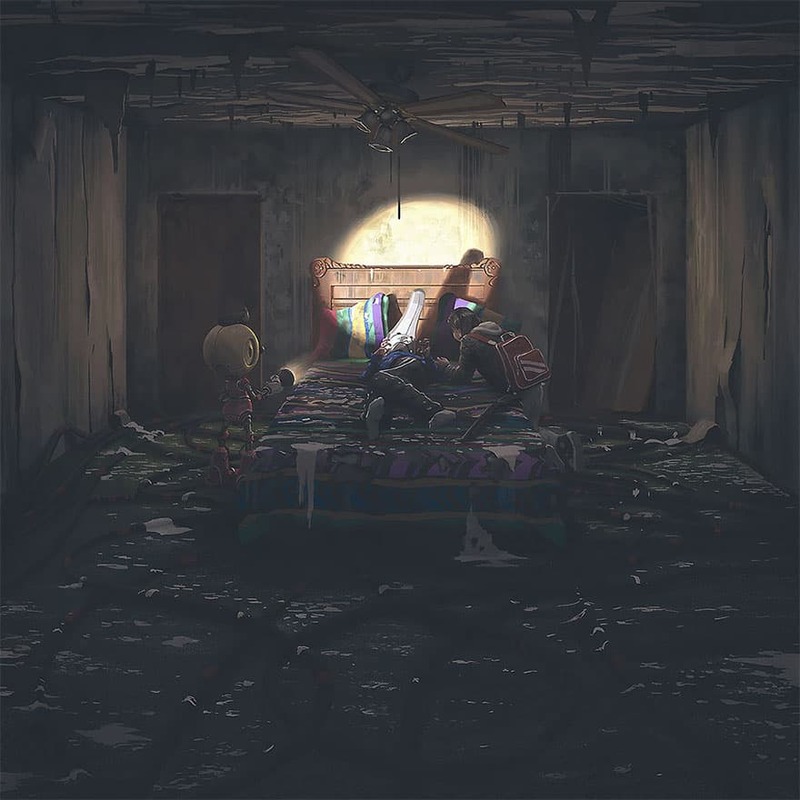 He also did some promotional artwork for controversial video game No Man’s Sky.